The 2016 British GT Championship moves to the picturesque Circuit de Spa-Francorchamps for Round 6 on July 9. The British GT Championship shares a very busy weekend at the Belgium circuit with the 25 Hours VW Fun Cup, Lotus Cup Europe and BRDC British F3 all sharing the same bill. Indeed the sixth round of the British GT Championship again sees the British GT and GT4 European Series joining forces to produce a huge grid of top-class GT action. Going in to Round 6, Barwell Motorsport leads the GT3 Teams Championship with 161 points from its closest rival, TF Sport, on 139 points. 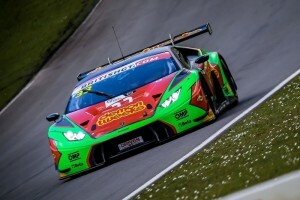 Barwell Motorsport has enjoyed a strong season so far with its new-for-2016 Lamborghini Huracán GT3 which has yielded five podium places including two wins. 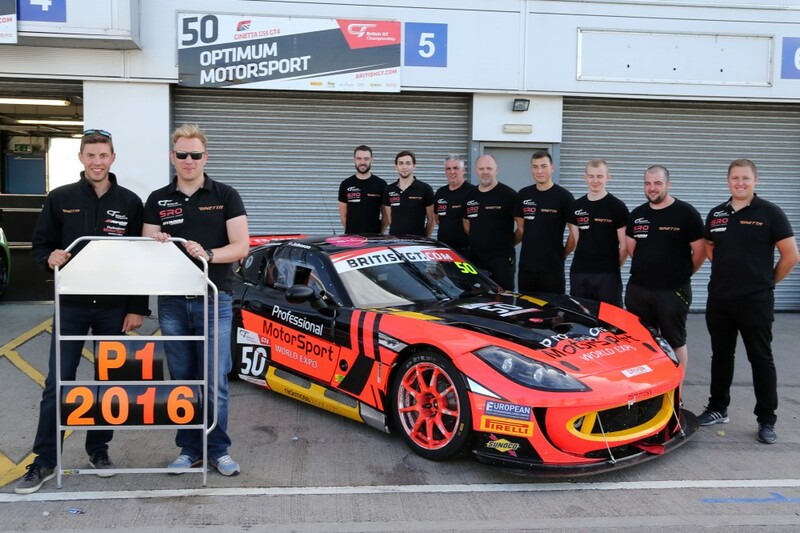 The #6 car driven by Liam Griffin and Adam Carroll won at Oulton Park in Round 3 while the #33 car, with driver pairing of Jon Minshaw and Phil Keen, took the top step of the podium in Round 5 at Silverstone. In the GT3 Drivers Championship the TF Sport pairing of Derek Johnston and Jonny Adam head the standings after five rounds with 97 points each in the #17 Aston Martin Vantage GT3. 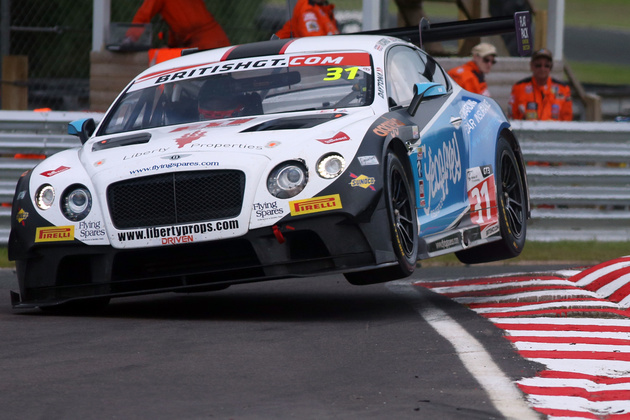 Johnston and Adam have proved a formidable pairing in 2016 with victories in the first two rounds of the season at Brands Hatch and Rockingham. The pairings only non-points finish was in Round 5 at Silverstone. Johnston and Adam’s closest rivals are the #33 Barwell Motorsport pairing of Minshaw and Keen on 85.5 points. In GT4 the Teams Championship is currently led by RCIB Insurance Racing with its #45 and #75 Ginetta G55 GT4s on 166 points, closely followed by Century Motorsport on 108. RCIB Insurance Racing has enjoyed solid results over the last three rounds with a win for the #75 car driven by Aaron Mason and Rob Barrable at Silverstone and earning points from eight out of the ten opportunities available to it so far this season. 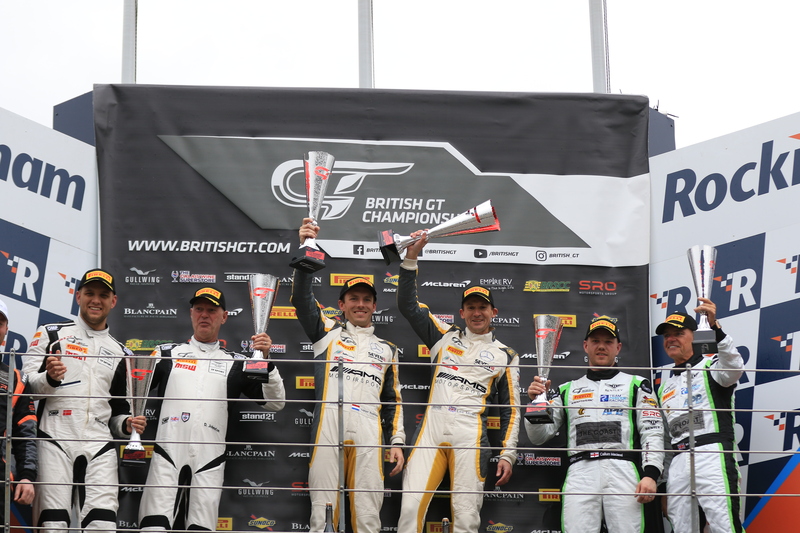 Jordan Albert and Jack Bartholomew currently lead the GT4 Drivers Championship standings with 91 points each, driving the Beechdean AMR Aston Martin Vantage GT4. 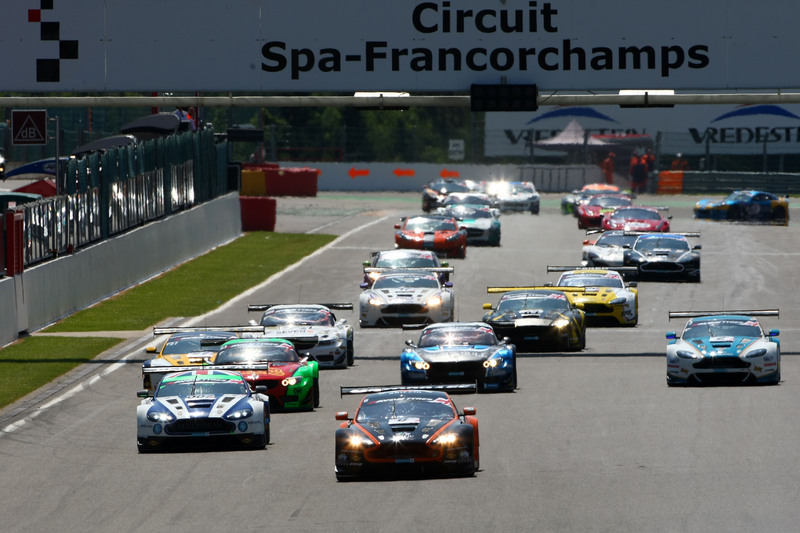 The GT3 ranks will be swelled at Spa with two leading European teams joining the grid. GRT Grasser Racing Team will be bringing two Lamborghini Huracán GT3s with Hunter Abbott amongst the driving line-up. Meuspath-based Black Falcon also joins the grid with two works-supported Mercedes-AMG GT3s. Team Parker Racing will again be fielding two Bentley Continental GT3s with the second car to be driven by Ian Loggie and Callum Macleod. The sixth round of the 2016 British GT Championship is a two-hour race which means that the grid will be established from aggregate timings from the separate Pro and Am 12-minute qualifying sessions for each class. The lights go out for the start at 12:35 on Saturday July 9.